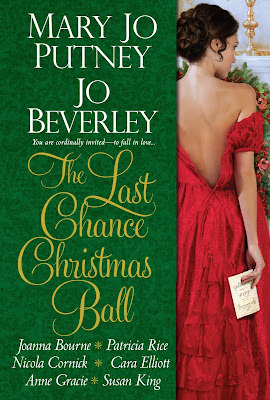 This was a very interesting and quite festive collection of Christmas novellas! What I deeply enjoyed about it, was the fact that all stories took place in the same period of time, specifically on Christmas of 1815! This is one of my favorite time periods and its feel was given in a very nice way while reading this anthology! An added bonus was the fact that it referred to Christmas stories, on snowy days! 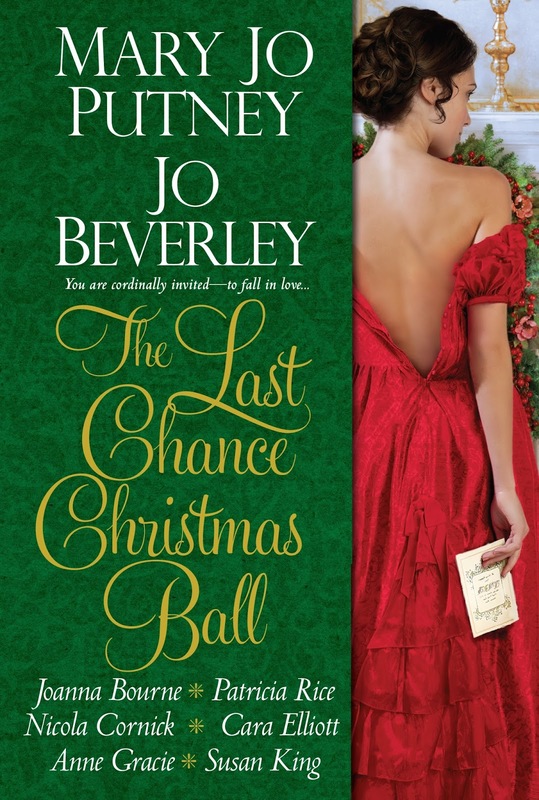 As for each individual story, they all had very unique elements, but at the same time circled around the fact that miracles can take place on Christmas time, with second chances being given to very different people, in order to find their one true love, or even be reunited with them! On My True Love Hath My Heart by Joanna Bourne, Nick has loved Claire for quite some time, even if she decided to put an end to their relationship, thinking they could never be together, with her being a merchant and him an aristocrat. But with her plans of vengeance on someone who has wronged her being scheduled, will Nick's assistance be enough for her to change her mind? On A Scottish Carol by Susan King, Henry and Clarinda had been in love when they were younger, but seeing as her father didn't approve of her marrying his protege, he married her of to her cousin, to whom she was promised when they were both kids. Several years later, with her husband having long died on a horse accident and her dad having also passed away, Clarinda wants to enroll on the University where Henry works as a professor. Even if it was very rare for a woman to study at that time period, Henry agrees to help her. Will that help bring them closer to each other, considering his desensitization over the years that have passed! On Christmas Larks by Patricia Rice, an injured man returns back to his home, discovering that it has been sold to an old childhood friend of his. The fact I greatly loved about this short was the talking mice and the hero's reaction to them! On In The Bleak Midwinter by Mary Jo Putney, also featured a young man that returns home injured. Kim refuses to see his childhood love after his return from the war, but will Roxie's insistence to see him and show him how deeply she loves him, will be enough for him to get past his feelings for his injuries and let himself love again? On Old Flames Dance by Cara Elliott, I deeply loved the fact that the previous story's hero Kim's brother Edward is featured. When his childhood love Lily returns from India, their reuniting is going to be in flames, just like the title suggests! On A Season For Marriage by Nicola Cornick, another sibling of Kim and Edward's is featured. Caroline had forced Piers into marrying her, a fact that estranged the couple. Will she be able to win her husband back before Christmas? On Miss Finch and The Angel by Jo Beverley, Clio, Lady Holly's companion that was featured on the Prologue, is the protagonist. Lord Gabriel, a wealthy and handsome nobleman, becomes interested in her but will he be able to win her heart! On Mistletoe Kisses by Anne Gracie, after Alice's father's cousin inherits her home, she is forced to either become a servant for the new inhabitants or find a job outside the house. She chooses to become a teacher. But, will happiness finally find her while travelling on a carriage with a lord and his sister! Captain the Honorable Kimball Stretton gazed out the window of the stone tower, his heart as gray and cold as the Northumberland hills. He’d grown up here at Holbourne Abbey, and once he’d loved the drama of the changing seasons, from vibrant spring through lush summer, dazzling autumn, to the subtle shades and warm fires of winter. The locals called this remnant of an ancient Norman castle the Lucky Tower, and their vehement protests had prevented one of his ancestors from tearing the structure down when the new house was built. The tower had been repaired so it wasn’t a public menace, and now a drafty passage connected it to the back of the new house. As children, Kim and his brother had loved playing up here. Usually Edward was King Arthur while Kim took the part of Lancelot. After Roxie arrived, they’d tried to persuade her to be their Guinevere, but she’d scornfully refused. She preferred playing Morgan le Fay, who had beauty, power, and danger. Kim’s lips curved involuntarily as he remembered the first time he’d met Roxie. The April day had been clear and sunny, with the cool blue sky of the north country. Kim and Edward had been preparing to ride out into the hills when a small female figure with blazing red hair had appeared. Their mother had told them of the poor little Hayward girl who had lost her parents in a carriage accident and had come to live with her grandparents on the neighboring estate. Her grandmother was going to bring the girl to Holbourne to visit Caro in the nursery. The new little orphan had nothing to do with the sons of the house. “I’ll keep her safe.” Kim leaned over and extended his hand. “Come on, Red, I’ll show you the hills of your new home.” Her small face blazing with delight, Roxie caught his hand and he lifted her up and settled her astride in front of him. Kim suspected that his mother and Roxie’s grandmother would not approve, but he was used to disapproval. If he got a scolding, it would still be worth it to see Miss Roxanne Hayward’s radiant smile. He’d been a slave to her smile ever since. But he no longer belonged at Holbourne Abbey. Mary Jo Putney, Jo Beverley, Joanna Bourne, Patricia Rice, Nicola Cornick, Cara Elliott, Anne Gracie, Susan King are the ladies otherwise known as the Word Wenches. These eight authors have written a combined 231 novels and 74 novellas. They’ve won awards such as the RITAS, RT Lifetime Achievement award, RT Living Legend, and RT Reviewers Choice award. Several of them are regulars on the New York Times and USA Today bestseller lists.